Use 649 - 47899 points to purchase this product! 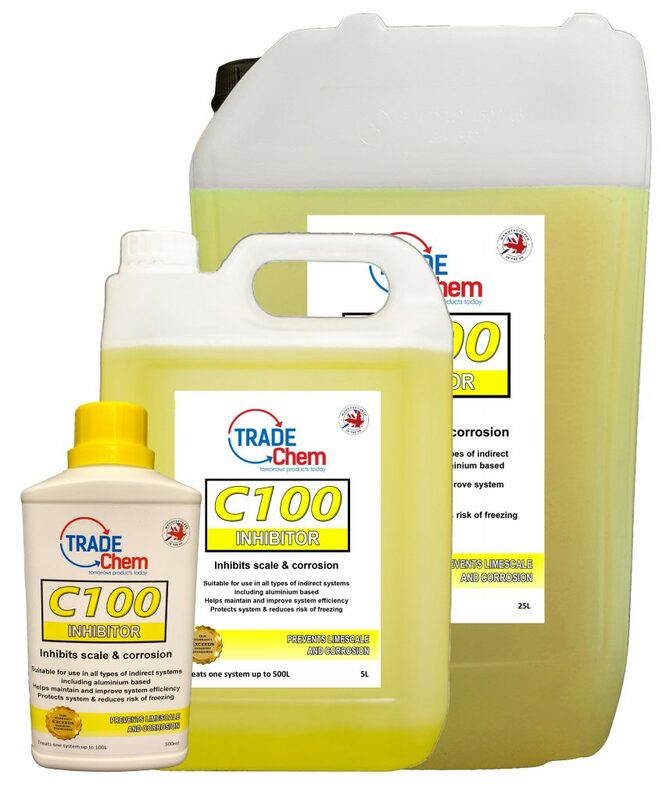 Inhibits corrosion, scale, hydrogen gassing, microbiological growth and boiler noise. Why treat your heating system water? All heating systems have two major substances: Metal and water. When these two react it causes oxidisation (rust) inside your pipes, boiler and radiators. It is essential if you want to have an efficient and healthy heating system to prevent this chemical reaction as much as possible. This is why a heating system inhibitor is used. How do I add Inhibitor to my heating system? 1. Turn off all components electrically in the system. 2. Turn of the water supply to the system via the F+E tank (feed and expansion) usually in the loft. 3. Find a drain point and drain the heating system. 4. Close the drain point when your hose stops running. 5. Go back to the F+E tank and tip the required dose of Inhibitor into the tank. Most normal house heating systems with 10 – 13 radiators will only need one 1 bottle. 6. Re-fill and vent the heating system. There are two types of inhibitor injector for pressurised systems. One is a hand pumped injector, the other is a pressurised aerosol can that injects automatically. The instructions below cover both applications. 2. Turn off the water supply to the system. 3. Find a drain point and drain the system. There will be some pressure but this will fall away. Once it is drained CLOSE THE DRAIN OFF VALVE. 4. Select a radiator and close the valves at both ends. 5. Open the radiator bleed key (a square pin situated at the top of the radiator) and release any pressure. Use a bucket or towel to catch any water. 6. After the water has stopped, remove the radiator key completely and attach the inhibitor equipment to the radiator. 7. Whatever injecting equipment you use, there will be a plastic tapered insert that you screw into the radiator bleed hole. 8. Once the inhibitor injector is attached, open the radiator valves and begin to inject the inhibitor. 9. If you are using a hand pumped injector you should see when all the inhibitor has entered the system. 10. Wait for few seconds after the inhibitor has gone in. This is to let some air into the radiator and gives you a chance to release any pressure without losing any inhibitor. 11. Close the radiator valves and release your injector. Replace the radiator bleed valve key. 12. Open the radiator valves and re-pressurise the system. Usually in most domestic houses it will be a cold pressure of .75-1.0 bar.